Proper installation of any type of roof requires the right conditions. Installing, repairing, replacing or maintaining any type of roof is worth doing when conditions permit. Some people try installing flat roof replacement when it is wet. At times, you would have probably a little choice in the matter, especially when the roof is damaged during the rainy season. At such times, it would be impossible not to proceed with the installation despite the wet conditions. However, for the most part, you should never attempt such work when it is wet. 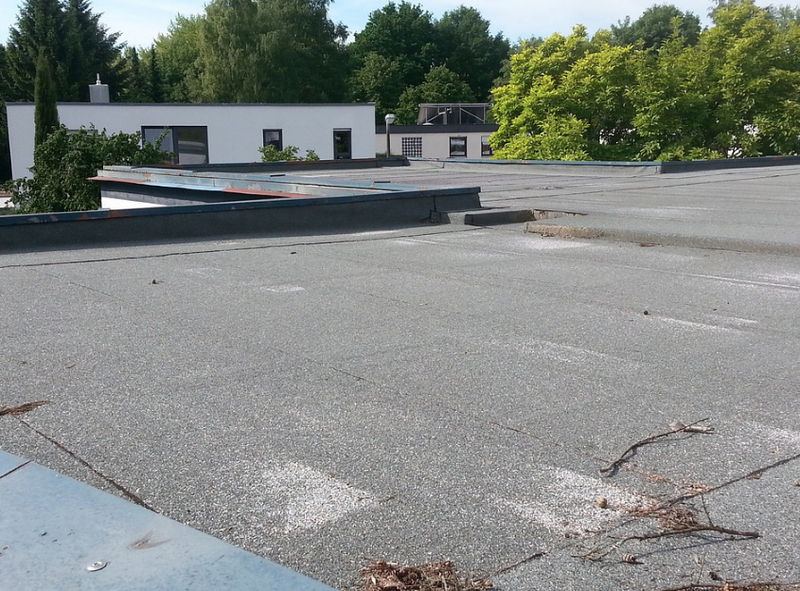 The building codes dissuade people from installing a flat roof replacement when it is raining. The installation of water barrier membranes on top of the wet substrate is against building codes. Such work done when it is wet would lead to the emergence of rot, mildew, and mold as the moisture gets trapped beneath the substrate, especially when ventilation is poor. The diseases that threaten to arise out of such conditions could jeopardize your entire household’s health. Furthermore, these conditions would require more financial resources to rectify. All roofing work comes with the risk of falls and slips. You increase the risk substantially when working on the roof when it is wet. The slick conditions coupled with the rainwater that is all over the roof, increases your likelihood of slipping, falling and injuring yourself. What is more, it is harder to handle some of the tools in such conditions. Roofing work must be done safely and in the face of as little a risk as possible. Wet conditions and surfaces should convince you to postpone the work until the rain stops and the roof is completely dry. If you must do the repair or replacement right away, do not embark on the work alone. 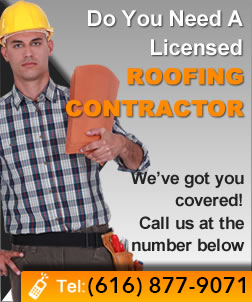 Instead, hire a professional roofer who has the tools, training, and experience to work under all types of conditions. In fact, most times the roofer will not do a thorough job. When wetness covers the roof, the contractor will mostly install a tarp to stop the leak temporarily. He will then return later – once the wetness subsides – to do a better job of replacing the severely damaged flat roof on your property. If the prevailing wet conditions are the worst time for replacing or working on the roof, then you should also know the best time for such work. The choice of the best time depends on a number of factors. Weather is just but one of the factors. The best time is the moment you notice a problem on the roof that requires immediate attention to rectify. Depending on the extent of the damage, the roofer would need to look for permits and materials for several days, or even weeks. Set the ball rolling by giving the roofer the go ahead to do what he can while rains dissipate. Summertime may appeal to some, but only if the replacement happens while the temperatures are bearable. Once temperatures reach unbearable and uncomfortable levels, you may want to stop the work. Winter is similar to summer in that the temperatures are equally high. But, with a bit of research, you can find the best deals during the summer and winter. Spring and fall are the two seasons when plenty of roofing work goes on; thus, making it a bit difficult to get the roofer you want at a moment’s notice. Therefore, you now understand the perils of trying to do any roof-related work while the surface is wet. Rains make the surfaces wet, which increases the risk of slipping and falling from the roof. The chances that you might injure yourself or do shoddy work increase substantially when you work under such adverse and slippery conditions. Remember, if it is raining and the flat roof must be replaced, then it is better to hire a professional roofer who knows the safety measures to adhere to instead of attempting the work on your own.